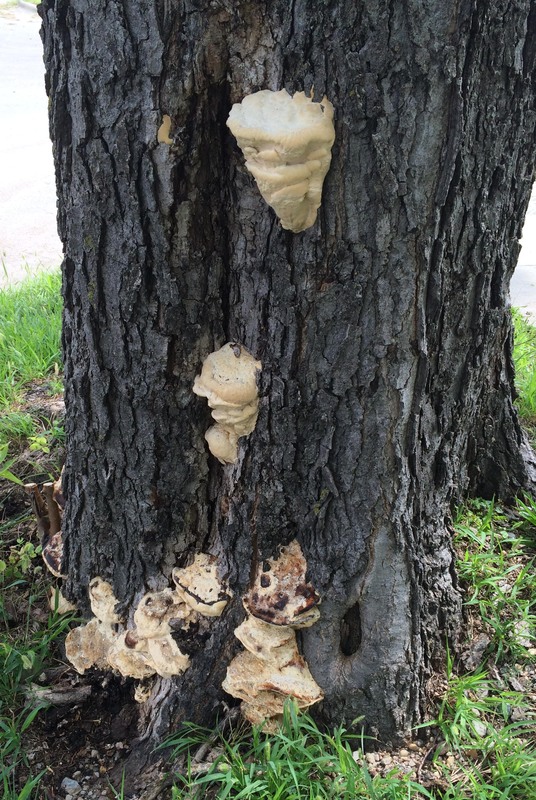 There Be Fungus Amongst Us!!! 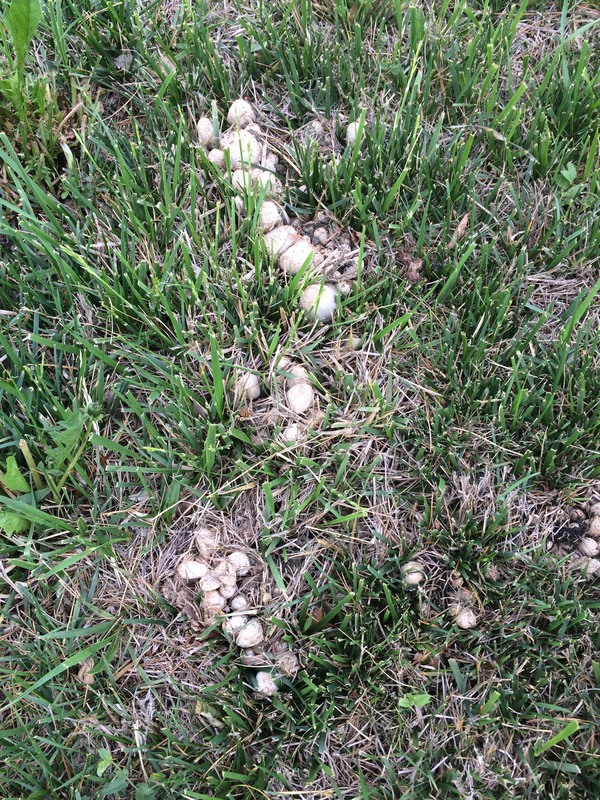 Virtually anytime during the growing season you are liable to see "mushrooms" growing in your yard or almost anywhere. Photos above show very common "lawn mushrooms". Whether you call them mushrooms or toadstools, they are both the fruiting body of an underground fungus organism. These different fungal organisms, while many different species, all have one thing in common; they feed on decaying organic matter. In the bigger scheme of things they are actually very beneficial as they break down decaying organic matter so it becomes available as nutrients to other plants. But as these fungi are feeding on dead organic matter (often wood) it's never a good thing to see them growing out of a standing tree. This is never a good sign! Mushrooms growing out of a tree indicate that there is wood inside the tree that is dead and in a serious state of decay. The structural integrity of this tree and or roots is being compromised and homeowners who see this need to take action to have the tree removed. The mushrooms aren't causing the damage and decay in the tree, they are simply taking advantage of it as a food source! Back to lawn mushrooms! 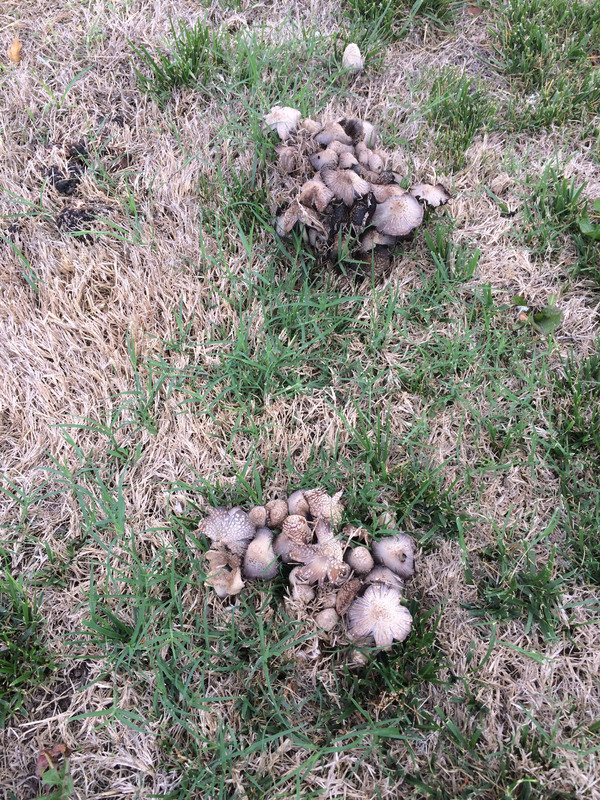 While different mushroom species can grow on decaying grass roots (common with fungal colonies we refer to as fairy rings) when they show up in yards, as in the first two photos on this page, they are almost always connected with old tree roots and/or tree stumps. Some of these mushrooms can originate from a decaying wood source over a foot underground. The decay organisms need to have water to create the growth necessary to produce mushrooms so often we will see a proliferation of mushrooms following rain OR heavy irrigation of a lawn. While they can be very frustrating to homeowners, there is unfortunately little that a homeowner can do except kicking them over or plucking them and throwing them in the trash. There isn't anything that you can spray to stop them from coming. They will disappear with time. While some of these are safe to eat and considered delicacies, others are deadly poisonous. DO NOT EAT THEM unless they have been identified by an expert. More information on lawn mushrooms can be viewed here. Sometimes we will also find odd "things" that show up maybe on the lawn, maybe on mulch, maybe just on weeds. They tend to show up very quickly, at times as if they weren't there yesterday and they are today. The "growths" may look like charcoal powder on grass blades or it may look like dog "vomit" (photo below). These aren't really fungi, they are a very primitive organism known as slime molds. Slime molds literally appear out of the air, do not directly damage whatever they are growing on and often disappear as fast as they appear. Since the spores float along in the air and just appear when the right combination of temperature and humidity occur, there is not control for them nor are they a threat to your lawn or landscaping. Sometimes they can be washed off with a stream of water from a hose. Other times they may just need to be scooped up and thrown in the trash or the compost file. 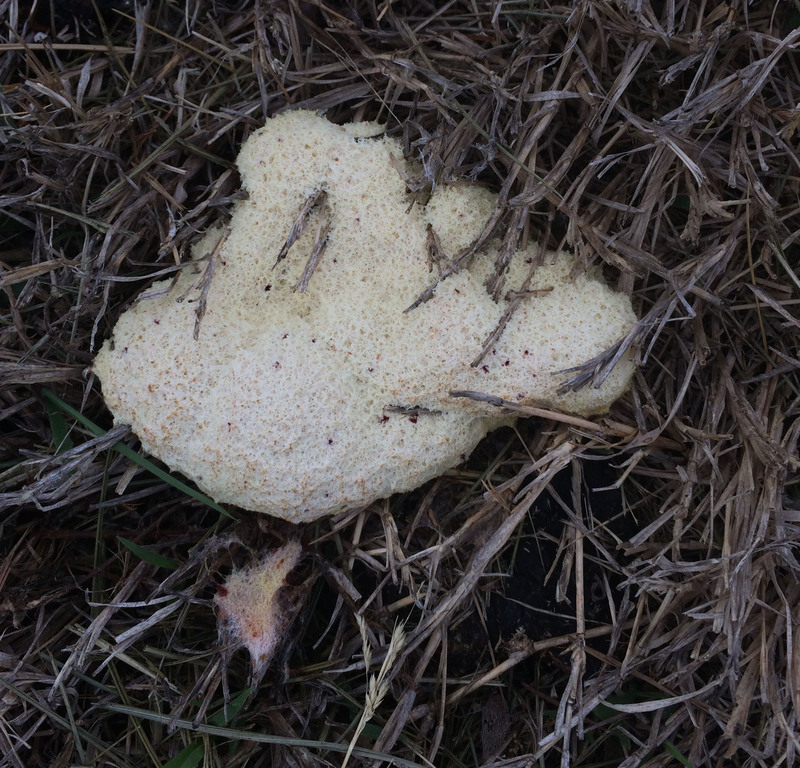 For more information on Slime Molds click here.